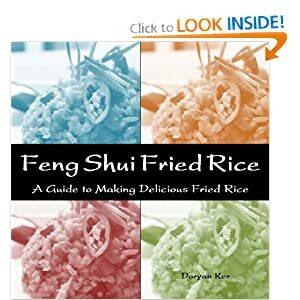 There are probably more recipes for Fried Rice that anyone can imagine. Every ethnic culture has a version all their own and each and every recipe is truly unique. This is my every day, any time of the day, eat all day version. A note about the rice....I was always under the impression that the best Fried Rice is made from "leftover, refrigerated" cooked rice. That was, until my husband made his version. Absolutely nothing wrong with using freshly cooked rice. In a large skillet over medium high heat, fry bacon until crisp tender (do not overcook). Remove from skillet; set aside. Into skillet; cook eggs. Remove eggs; set aside. Return bacon to skillet. Add meat of choice, onion, white parts of green onion and garlic. Cook 3-4 minutes, until onion is cooked through. Stir in rice, soy sauce, oyster sauce and pepper. Stirring until mixture is thoroughly heated and well combined. Taste for seasoning, adding additional soy sauce or oyster sauce as needed. Stir in eggs. Remove from heat; toss with green parts of onions and sesame seed oil. Serve immediately, preferably in saimin bowls. Optional to omit scrambled eggs and serve with eggs cooked to your preference on top of Fried Rice or serve this as a filling for an "over-the-top" omelette! Feel free to use a combination of meats. Makes 6 "I'm not very hungry" servings, sometimes 2.